According to a new report from Christian Concern, the General Medical Council (GMC) has today decided to continue disciplinary proceedings against a Christian GP, despite the fact that the patient who made the complaint has refused for two years to give evidence face to face. The BBC has also reported on the case. 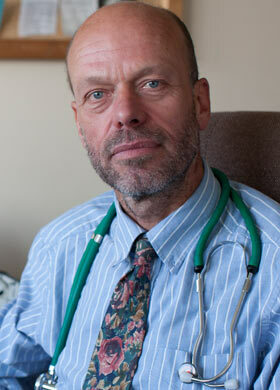 Dr Richard Scott, who works at Bethesda Medical Centre in Margate, Kent, was first reported to the GMC in September 2010 for discussing his Christian faith with a patient at the end of a private consultation. Following the complaint, Dr Scott, was threatened with an Official Warning by the GMC, which he refused to accept. As well as deciding to continue with the proceedings, the GMC has today also made the extraordinary decision that part of the case will be held in secret. The press and the public will be barred from attending, and Andrea Williams, CEO of the Christian Legal Centre, has been specifically excluded from attending the hearings to support Dr Scott. In May last year I blogged at length on the case arguing that the GMC had overreacted in its reprimand and also reported on Dr Scott’s later hearing in September. The complainant, an adult, was originally encouraged to bring the charge by his mother, and has persistently refused to have his evidence challenged. 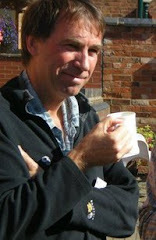 Dr Scott, supported by the Christian Legal Centre, had argued that his case should be ‘struck out’ on grounds that a fair hearing could not take place with no cross-examination of the complainant face to face. Yet the GMC has decided to persist with the case with the complainant giving evidence by phone, without any cross-examination. Essentially the GMC is arguing that Dr Scott is in breach of its controversial guidance, ‘Personal Beliefs and Medical Practice’ (2008), which it is currently trying to tighten even further to clamp down on faith discussions. In other words, there is no blanket prohibition on expressing personal beliefs, as long as it is done in a way that is sensitive and appropriate. Now what patient walks into a consultation carrying a Bible or Qur’an, or for that matter, a copy of the Communist Manifesto, or Darwin’s Origin of Species? I have never seen it. The implication seems to be that doctors cannot rely on verbal forms of information gathering to determine what might be important to a patient but must now rely only on non-verbal cues! And yet the guidance elsewhere gives lip-service to the importance of taking a ‘spiritual history’, which usually would include such questions as ‘where do you find support?’ or ‘Do you have faith that helps you at times like this?’ which are actually an essential component of whole-person care. Advice published by the Medical Defence Union last year appeared to follow a more balanced line and interestingly quotes from a GMC letter written seemingly in more reasonable and conciliatory times. ‘Nothing in the GMC’s guidance precludes doctors from praying with their patients. It says that the focus must be on the patients’ needs and wishes. Any offer to pray should follow on from a discussion which established that the patient might be receptive. It must be tactful so that the patient can decline without embarrassment because whilst some may welcome the suggestion others may regard it as inappropriate’. This apparent shift by the GMC, which seems to have been fuelled in part by Dr Scott’s case, is consistent with the growing marginalisation of Christian professionals and the rise of militant secularism in Britain’s institutions. I wish Dr Scott all the very best in his endeavours. The issue about the complainant appearing at the hearing is a red herring. In his media statements and appearances, Dr. Scott has unapologetically admitted that he told the patient that the reason he was sick was because he was following the wrong religion and that he would be healed if he converted to Christianity. This a clear ethical transgression, regardless of the specific wording the GMC uses in its guidelines. Never mind the fact that he also presented false medical information to his patient. So the complainant can hardly provide more damaging testimony than Dr. Scott has provided against himself. He should be reprimanded in the clearest terms and ordered to desist from this unethical behaviour. And if he refuses, then he should be wished the best of luck in his new career after being stripped of his licence. Can you produce a direct quote to this effect? It's in the video, in the first couple minutes. So, if this is in fact what Scott had done, do you agree it was unethical? This is certainly not the wording he used. He asked the patient if he would welcome a discussion about spiritual matters and the patient welcomed it. He then stopped the discussion when the patient asked him to. Did you see the same video I did? He inquired about the patient's faith, ascertained that it was different from his (not Christian), told him that his (the patient's) faith obviously was "not working" for him, and then said that he believes "hundreds" of patients have been helped by adopting the Christian faith, and suggested that the patient should do the same and start attending a Christian church. This is all there in his own words in the video. That he stopped when the patient asked him to is irrelevant. I should bloody well hope he did! If he had asked a patient to sleep with him and then "stopped the discussion when the patient asked him to," would that be an acceptable excuse for the behaviour? Regardless, Dr. Saunders, would you care to answer my other (more important) question: Whether or not you believe I accurately characterized Dr. Scott's actions, do you think the actions as I described them would be unethical? i.e. Telling a patient that his particular faith is compromising his health, and that this could be ameliorated if the patient converts to the physician's faith? No surprise that he isn't replying to this. lutesuitesaid :do you think the actions as I described them would be unethical? i.e. Telling a patient that his particular faith is compromising his health, and that this could be ameliorated if the patient converts to the physician's faith? Unfortunately, Dr. Scott does not seem to have realized the error of his ways and is instead playing the martyr. Yet another example of a Christian who fails to understand that being prevented from discriminating against and abusing others is not persecution.